An applicant seeking Nigerian international passport has died in Nigerian Immigration Service (NIS) Passport office, Ikoyi, Lagos. It was gathered that at about I0.am, the man became restless and started complaining of severe heat and discomfort. He, however, requested to use the restroom. It was learned that after about 40 minutes, an attendant from the agency knocked several times and he did not respond. ”We tried to open the door, but it was locked from the inside,” the attendant said. An official who spoke on the condition of anonymity said: “We don’t know what was wrong with him, he came with his wife, he was so uncomfortable with himself and a bit aggressive, complaining that he should be attended to as he and his wife arrived the passport office before other applicants. An eyewitness, who identified herself simply as Jenny, said he died before the police arrived and forced the door open. 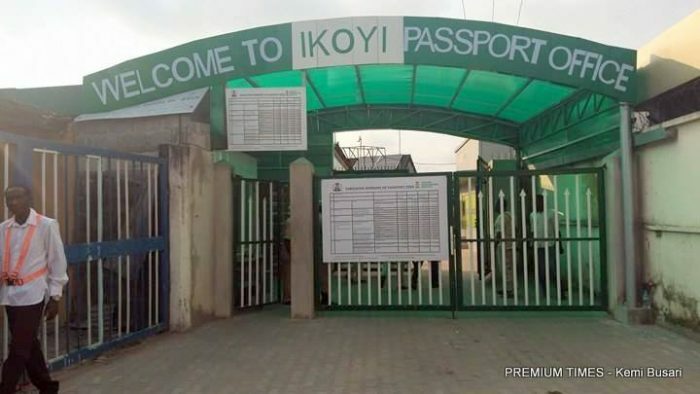 Confirming the incident, the Passport Controller in charge of Ikoyi Passport office, (PCO) Mani Yari, said: ” Yes, it is the truth, an applicant died in our toilet. He came to our office with his wife. There was no queue, as he did not come to collect Passport. We attend to applicants from 9 am. Along the line, the deceased said he wanted to ease himself. It was after about 40 minutes that the wife started raising the alarm that her husband had not returned from the toilet. We thought it was the normal panic from a woman. But when we arrived at the scene and he did not open the door, we called the police who came and forced the door open and we saw the lifeless body. The body has been deposited at the mortuary for autopsy.